Your chance to receive the rarest woods at the price of the most modestly priced woods. 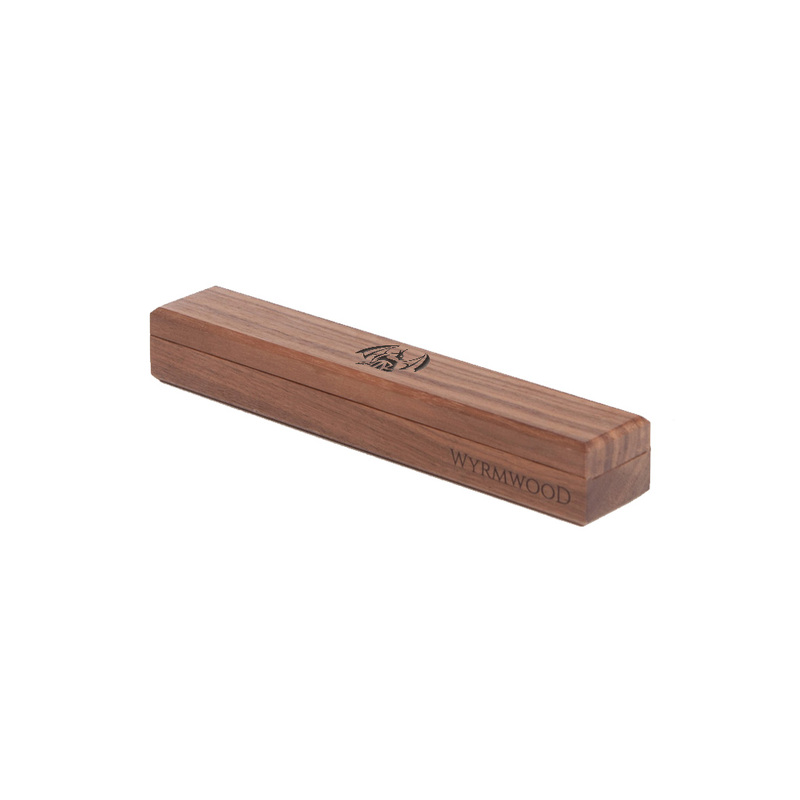 Your order will be fulfilled as we select your piece at random from our selection of woods. Blue Mahoe at Red Oak pricing could happen for you! The Dice Vault is a place of honor for your favorite dice. It stores and protects up to ten polyhedral dice, eight 19mm Casino Dice, or more than an entire brick of thirty-six 6mm d6’s. 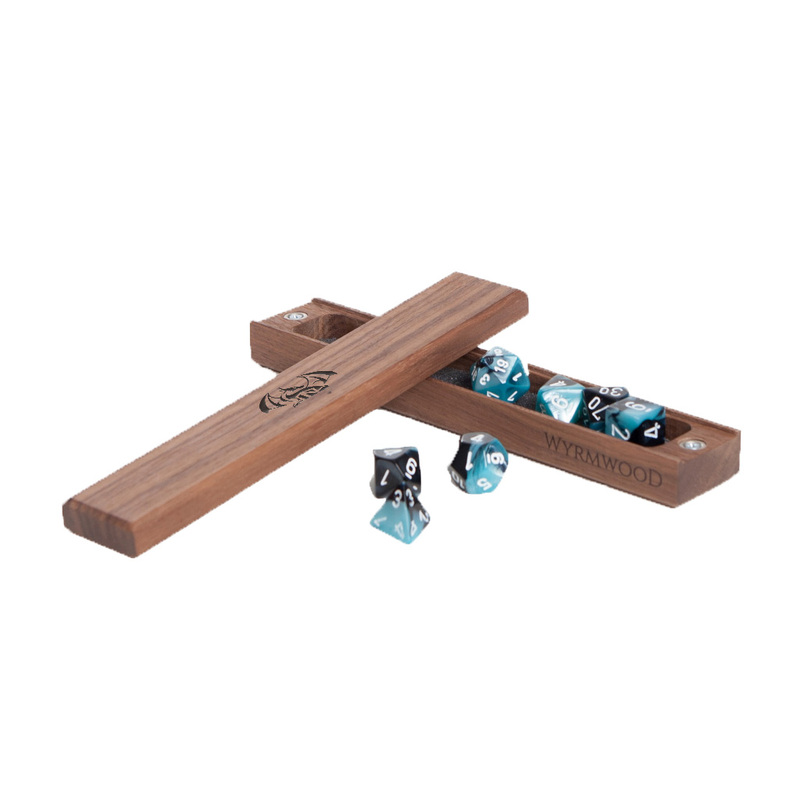 The Wyrmwood Dice Vault features solid wood construction with a powerful magnetic closure for the ultimate way to store and carry a set of gaming dice. Each Dice Vault is emblazoned with the RPGCrate Dragon Logo. This add-on has a retail value of up to $125.00. Dice not included.